Since 1991, MQA-accredited art and design college The One Academy is the top choice for creative education, home to nurturing creative professionals. 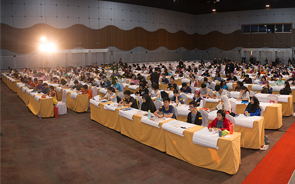 The One Academy offers one main scholarship a year : Malaysia Top 10 Outstanding Young Artist Awards, formerly known as the Creative Art Award. You can find out more about the latest Malaysia Top 10 Outstanding Young Artist Awards at https://www.top10.toa.edu.my.